Copyright �2011 PopEntertainment.com. All rights reserved. Posted: April 20, 2011. It�s not the background you�d expect from a DJ. 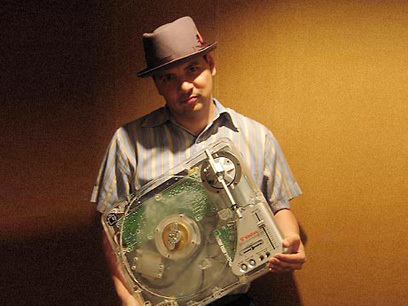 Mix Master Mike (born Michael Schwartz) was a half-German Jewish, half-Filipino kid from San Fran when he broke out in the world of DJ battles. However, even as a little boy, Michael Schwartz was seduced by hip hop. The first record he ever bought was Sugarhill Gang�s �Rapper�s Delight� 12-inch single. It was a big deal for the little boy, so much that he literally scraped together every penny he could, walking up to the counter and paying for the record with 499 pennies. Of course, MMM struck a different look than was expected in the hip hop world, which meant that from day one he was having to prove his street cred. Those championships included the 1992 DJ Battle for World Supremacy and the World DJ Championships. This led to more wins, and the eventual ascension to the judging table because he had won so often. Mix Master Mike had arisen from his humble beginnings to the top of the underground turntable world. Of course the battles were just the first step for Mike. DJing live was great, but he also was determined to create music for people all over the world. 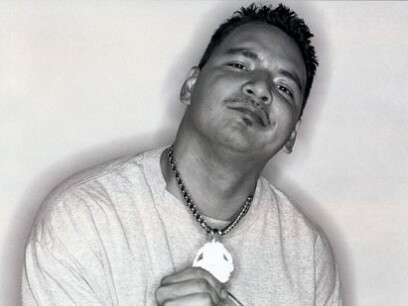 Early on, he worked a lot with DJ Qbert � who was an early opponent-turned-ally in the competitions. They also merged their talents and formed a group called the Invisibl Skratch Pickles. Mix Master Mike also became known on the scene for his innovations in turntable work � creating such musical styles for the wheelz of steel as the tweek scratch. 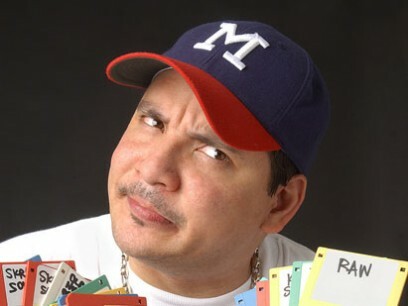 In fact, over the years, Mix Master Mike has often blurred to borders when it comes to rap and rock. He has worked with rockers like Rob Zombie, Ozzy Osbourne, Tommy Lee and most recently Travis Barker, with whom he has been touring and performed on the album Give the Drummer Some. Still, it took a bit of perseverance on his part to get what turned out to be his ultimate gig. In 1997, Mix Master Mike became the official DJ for the legendary rap collective the Beastie Boys � a position that he holds to this day. �I�d been a fan for years, growing up,� Mix Master Mike recalled. �The Beastie Boys were my favorite group ever in hip hop history. I felt like I had something that they were missing. I got Adam [MCA] Yauch�s number in New York City on the Rock Steady Anniversary [an annual Brooklyn concert/block party/benefit put on by the old school rap group The Rock Steady Crew]. He was only the fourth DJ to achieve that prime spot, and at this point he has been at it longer than anyone ever has. This longevity is no accident. It is a matter of chemistry. It�s tough to have staying power for a long time in hip hop, yet the Beasties have been going strong for over 25 years now. Mix Master Mike thinks he has an idea why they have lasted when so many other classic rap groups sort of faded away. In May, The Beastie Boys will be releasing Hot Sauce Committee, Pt. 2 (another disk called Hot Sauce Committee, Pt. 1 is also in the works, but is not ready so it is being held for later release). The first single from the album, �Make Some Noise,� was leaked to the internet in early April. The band pushed up the single�s release, which has become the Beasties� biggest hit in years. It is the Mix Master Mike�s third album with the Beasties � not including a remix album and a two-disk hits compilation. He is excited about the new release, but he played it a little close to the vest on describing the new musical direction of the album. While he is waiting for the album and the tour which will undoubtedly follow, Mix Master Mike has been keeping busy touring with Blink-182 drummer/reality show star Travis Barker. 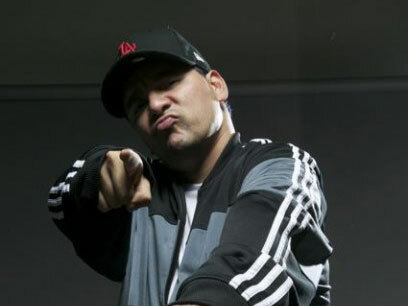 The connection came through the overdose death of one of Mix Master Mike�s best friends, DJ AM (nee Adam Michael Goldstein). DJ AM had been close with Barker for years � in fact the two of them had been the only survivors of a chartered plane crash in 2008 when they were returning from a South Carolina show. Four others on the plane were killed. After DJ AM died a year later, Barker contacted Mix Master Mike. �DJ AM was a really, really good friend of mine,� Mix Master Mike said. �My manager introduced me to him. When he passed, it kind of left a� I don�t know, not a hole in the DJ culture, but it was a tough time. [Particularly] for me, being that he was my close friend. Fierce musicianship comes naturally to Mix Master Mike, a fact which has not gone unnoticed by the music world. Beyond the Beastie Boys and Barker, MMM has been approached by such varied artists as Zombie, Osbourne, Joss Stone and Fela Kuti to share his talents. Another recent collaboration is in an innovative new internet group with DJ Muggs and Rahzel. Mix Master Mike is also staying in our face by appearing on the kids� show Yo Gabba Gabba and stalking the interwebs with his own shorts series called MMMTV (Triple-M TV). In the meantime, he is starting his own cottage industry by creating a series of DJ products, including a DJ bag and an app. �[The bag is] called Mix Master Mike�s Space Case. There hasn�t been a backpack/DJ bag that has been the perfect one. You get some, the zippers break or there�s not enough compartments, or it�s too small. This one is going to be an all in one, everything you dreamed of, gadget/DJ bag. In the meantime, when he has a free moment � which is rather rare � Mix Master Mike is working on his own music. He has done a few solo albums and recently finished his latest EP. And as always, he is thinking outside of the box in getting it out to the people. 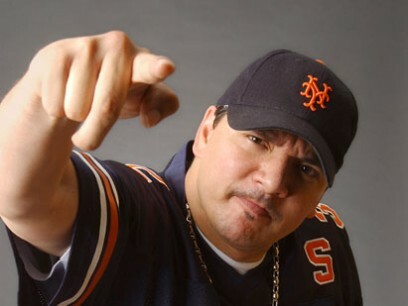 CHECK OUT MIX MASTER MIKE'S TRIPLE M-TV! #1 � 2009. Courtesy of Mix Master Mike. All rights reserved. #2 � 2009. Courtesy of Mix Master Mike. All rights reserved. #3 � 2009. Courtesy of Mix Master Mike. All rights reserved. #4 � 2009. Courtesy of Mix Master Mike. All rights reserved. #5 � 2009. Courtesy of Mix Master Mike. All rights reserved.